The highly anticipated list of all qualified riders for the upcoming 2018 FWT competition season is now officially available. The forty-two competitors comprise four categories: twenty ski men, eight ski women, eight snowboard men, and six snowboard women. Seasoned tour veterans will be joined by newly qualified athletes from the Freeride World Qualifier (FWQ) in each category for the five-stop tour. 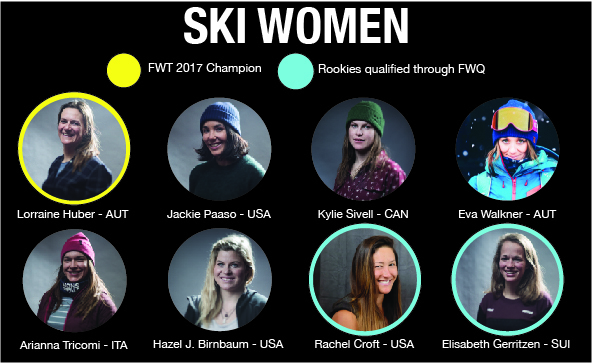 Tour rookie Rachel Croft (USA) from Region 2 and Elisabeth Gerritzen (SUI), who is returning for her second season on the FWT, will provide a formidable challenge for the ski women category. Lorraine Huber (AUT) will not cede her world champion title easily and riders like Arianna Tricomi (ITA) are still hungry for a top place finish on the podium. The up-and-coming talent to watch in this category includes hard charger Trace Cooke (CAN), Kiwi crusher Craig Murray (NZL), Carl Regner (SWE), Patterson Berkeley (USA) and Mickael Bimboes (FRA). 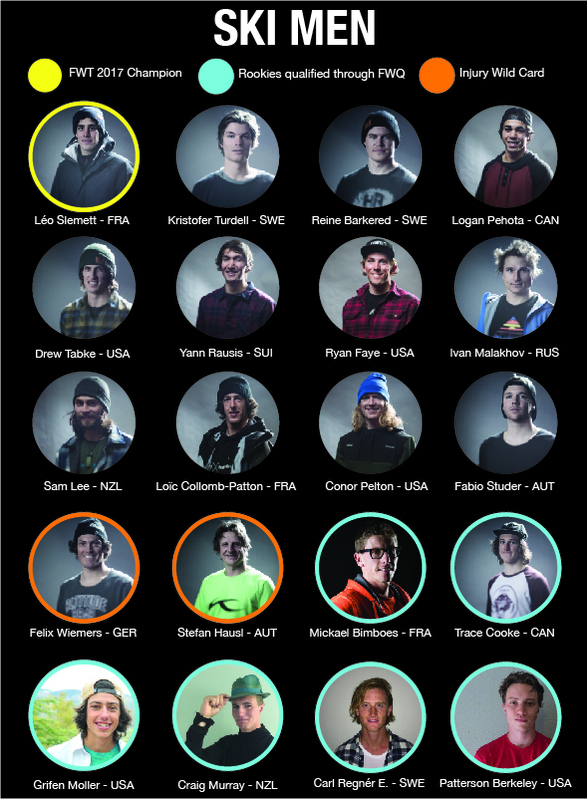 These emerging riders will face off against defending champion Léo Slemett (FRA) and a highly experienced field of veteran skiers.